ERSRI.org is your source for the latest information from Employees’ Retirement System of Rhode Island, the state’s largest public employee retirement system. The $8 billion retirement system works with state employees, teachers, the Municipal Employees’ Retirement System (MERS), MERS police and fire, correctional officers, BHDDH nurses, state police, and judges. Here, you'll find the latest tools to help you plan for your retirement, calculate your benefits and eligibility, and understand how laws and regulations may affect you. Are You Planning to Retire Soon? Are you planning to retire within the next nine months? If so, ERSRI offers group retirement counseling sessions at our Warwick office. During your counseling session, ERSRI will provide you with a benefit estimate and the required retirement forms. You may also want to review ERSRI's Retirement Planning Checklist. Please schedule your counseling session six to nine months before retirement by calling ERSRI at 401-462-7600. If you have additional questions, please contact ERSRI using our "Contact Us" page or by phone at 401-462-7600. The ERSRI Member Service Center is open Monday - Friday from 8:30 a.m. until 4:00 p.m.
"As long-term investors in Mastercard we believe that full disclosure of the company's direct and indirect lobbying activities and expenditures will help investors assess whether the Company's lobbying is consistent with its expressed goals and in the best interests of shareholders," said Magaziner. Last fall, Treasurer Magaziner filed a shareholder proposal with Mastercard requesting that the board of directors annually disclose information regarding payments used for direct or indirect lobbying, including payments to trade associations, as well as disclosing any grassroots lobbying activity. 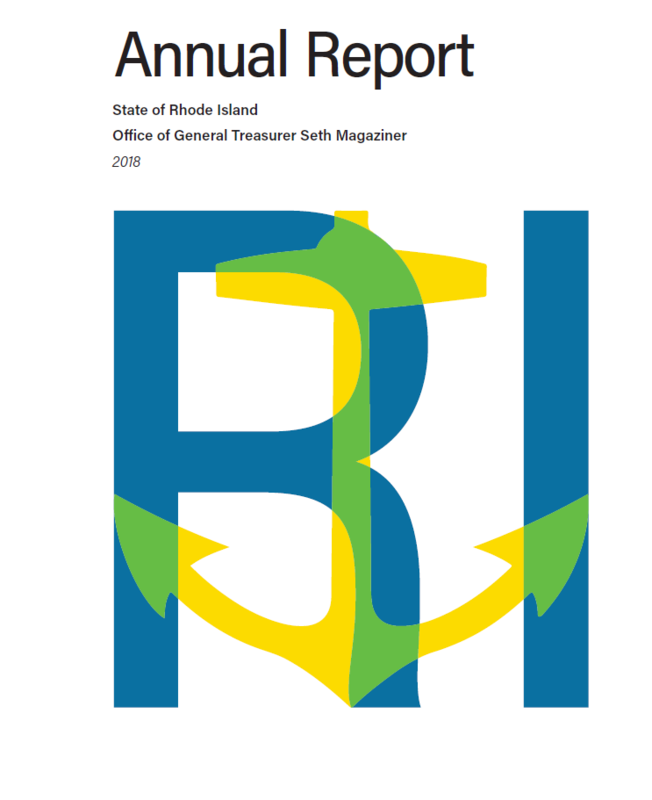 March 25, 2019: General Treasurer Seth Magaziner today released his Office's 2018 Annual Report, which highlights work to support small businesses, make a once-in-a-generation investment in schools across Rhode Island, and how his office is returning millions of dollars in unclaimed property back to its rightful owners. "Over the past four years, we have found new and innovative ways to use the Treasurer's office to strengthen our economy," said Treasurer Magaziner. "I hope this report will give Rhode Islanders a glimpse into the work our team does every day to strengthen the finances of our state and make a real, tangible difference in peoples' lives." February 28, 2019: Rhode Island's pension fund earned $323 million from investments in the month of January, a 4.14% return that finished ahead of the fund's investment benchmark which returned 3.60%. The positive performance was driven by the investments in the global stock market - mostly low fee index funds designed to provide long-term growth. In the 3-year period ending January 31, 2019, the fund also outperformed benchmarks; earning an annualized return of 8.67% versus the plan benchmark return of 8.52%, and a traditional 60 percent stock/40 percent bonds portfolio which would have earned 7.81%. Detailed information about the fund, including the Back to Basics investment strategy, performance, and detailed information about its managers are published online as part of Treasurer Magaziner's "Transparent Treasury" initiative at investments.treasury.ri.gov. Note: Performance information is presented net of fees. February 25, 2019: In response to shareholder engagement led by Rhode Island General Treasurer Seth Magaziner, Archer Daniels Midland (ADM), one of largest agricultural processors in the world, has agreed to assess the feasibility of adopting quantitative, company-wide goals for reducing the company's greenhouse gas emissions, including increasing its use of renewable energy. As a result of this agreement, Rhode Island has withdrawn the shareholder proxy proposal filed on this topic at ADM late last year. "Pension funds are long-term investors," said Treasurer Magaziner. "Companies, especially those as large as Archer Daniels Midland, must have a plan to adapt their business model to reduce dependence on fossil fuels. A transition to renewable energy can help stabilize and reduce energy costs - freeing up corporate resources that can be invested for sustainable growth." ADM has acknowledged that sustainability is integral to its business, and to creating value for its shareholders. The company has agreed to produce a report outlining the feasibility of greenhouse gas targets, for review by its board of directors, by the end of the first quarter of 2020. Following the board's review, ADM will make the report publicly available on its website. Beyond decreasing price volatility, increasing the use of renewable energy can help companies proactively prepare for the implementation of energy-efficiency standards and carbon-reduction regulations. Increased use of clean technologies and renewable energy may also reduce business continuity risk. The Rhode Island Treasurer's Office appreciates ADM's engagement with investors and looks forward to continued conversations. We hope that ADM continues to take an industry-leading position by integrating sustainability concerns into all aspects of the company; creating long-term value for shareholders - including members of Employees' Retirement System of Rhode Island. January 29, 2019: The U.S. District Court, Northern District of California has approved Rhode Island Treasurer Seth Magaziner’s motion that Employees' Retirement System of Rhode Island be named lead plaintiff in a shareholder class action lawsuit against Alphabet Inc., the parent company of Google. Investors in Alphabet, including the members of Employees' Retirement System of Rhode Island, are seeking to recover for harm they suffered when Alphabet misled regulators, users and the public regarding its failure to secure users’ information,” said Rhode Island General Treasurer Seth Magaziner. On January 25, 2019, Judge Jeffrey White approved a motion to name Rhode Island as lead plaintiff, and to consolidate all similar class actions suits against Alphabet into a single class action. Multiple lawsuits were filed against Alphabet in response to an October 2018 revelation that Google executives knew about, but did not disclose, a breach in its Google+ platform which compromised the personal information of 500,000 users. Months later, Google announced that the number of its users whose private information was compromised was one hundred times greater than originally announced. Without their permission or knowledge, Google+ allowed the private information of approximately 52.5 million users to be compromised. "Google knew that there had been a security breach and that users' private information had been compromised, and instead of disclosing the information, they chose to hide it," added Magaziner. You can view the motion here. January 16, 2019: Members of fifty municipal (MERS) pension plans will receive a cost-of-living adjustments (COLA) in 2019. All members of these 50 plans who retired before June 30, 2012, and were previously receiving or eligible for a COLA, will receive a COLA beginning the month following their retirement date in 2019. More information on which MERS plans are offering a COLA in 2019, along with information on how COLAs are calculated, can be found here. January 11, 2019: ERSRI has begun mailing 1099-R forms to retirees, with all 1099s expected to be mailed by January 31st. Retirees should receive their 1099-R forms by mid-February, at the latest. Retirees can view and download their 1099-R by logging into their account. Information on how to access your 1099-R online can be found here. For information about how to read your 1099-R please click here. If you turned 59 ½ in 2018, you may receive two separate 1099-R forms. You can read more information by clicking here. If you do not receive your 1099-R form by mid-February, please call (401) 462-7600 and we will issue a replacement. The ERSRI Member Service Center is open Monday - Friday from 8:30 a.m. until 4:00 p.m. 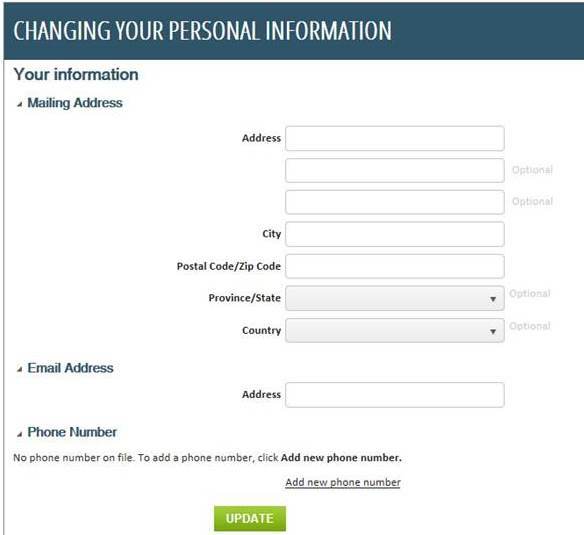 Retirees: Does ERSRI Have Your Current Mailing and E-Mail Address? Each month, ERSRI sends an e-mail to retirees letting you know that your Pay Statement is available to view, as well as quarterly e-mails letting you know when Compass, ERSRI’s newsletter, is available. Simply update any outdated information and click the green “Update” button and you’re done.